With Joseph Beuys, Hans Haacke, Hits Steyerl, Wolfgang Tillmans, Lawrence Weiner among others. Within the scope of 2018, year of protest, the City of Brussels celebrates the fiftieth anniversary of 1968, a period marked by disruptions and multiple challenges but that remains emblematic for arts and society alike. 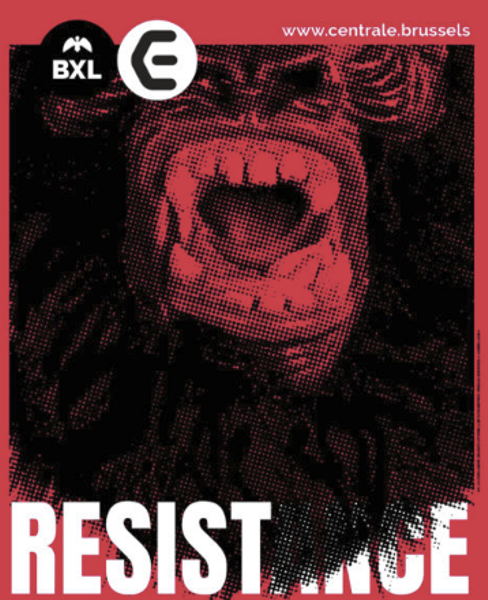 On the occasion of the ambitious project entitled RESISTANCE, CENTRALE for contemporary arts fulfils its mission as public arts centre and focuses on the ways in which art used and pursued the many society and political challenges that rocked the past half-century. Using a thematic approach, the exhibition studies how contestation and resistance fall within a body of artworks. Instigating a dialogue between historical works from 1968 and contemporary pieces by Belgian and international artists, the show reflects on the huge gateway that opened during that era and that remains connected to contemporary art. The exhibition sheds light on works stemming from a practice of relations broadened to the world, which use unconventional materials and media and that are all animated by a burning desire for action at the heart of the community. A practice founded on firm beliefs that converge with major collective issues such as personal freedom, feminism, globalisation, the environment. At the core of the show, the role of artists unfurls as the key player of a revolutionary thought, somewhere between resistance and protest.